Ben Templesmith (w/a/c) 1941. Hitler's Operation: Silver Fox has failed, but the war on the Eastern Front drags on as the Russian winter starts to bite. British military attaché Corporal Charlie Keating observes the war from the Soviet side, making sure crucial supplies get through to aid Stalin's front in the battle against the Nazis. With luck, he too will survive to see the end of the war. But something else is out there, and they're not the Nazis. No matter how hard humanity tries to kill itself, something else does it better. 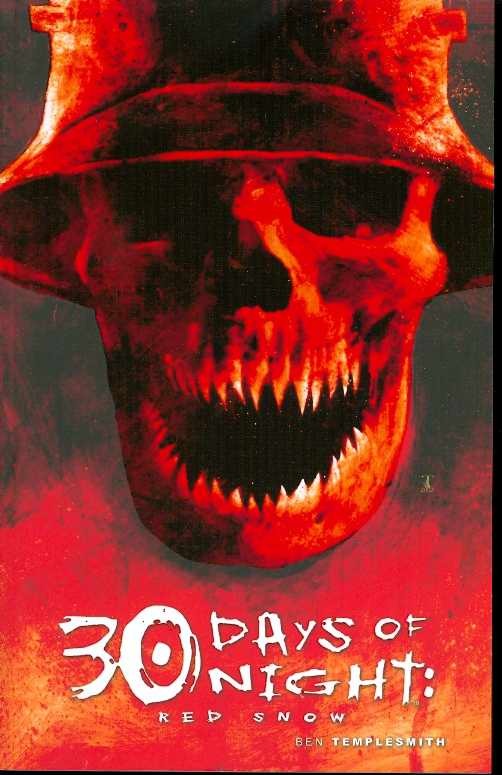 30 Days of Night/Fell co-creator and Wormwood Gentleman Corpse auteur Ben Templesmith's first solo 30 Days tale is collected here, presenting a war of a different kind, one that will have repercussions felt all the way to Barrow, Alaska a half-century later. Also featuring additional story pages, character designs, a cover gallery, and an all-new cover from 2007 Scream Award nominee Templesmith. .